You may have previously read our article of How to Ensure Industrial-Grade Quality for Products in 3D Printing or our infographic about How do 3D Printed Parts Fare in Assessment By TÜV SÜD PSB, where we demonstrated the high quality of parts produced. If you have not, you can still click the links and read. In this article, we outline the technical methods we have developed and follow in achieving those results, that include reverse engineering, industrializing and producing spare parts over a distributed manufacturing network. These processes define the length of our qualified engineering operations in employing commercially available FDM 3D printing to produce a wide range of spare parts for end-users. All parts used in consumer products today come with a set of data called technical specifications that describe their function, mechanical, structural, visual requirements, dimensions and tolerances. These specifications can be in the form of 2D technical drawings, digital 3D models, spreadsheets or any other document. They can be used by engineers to recreate the part at any given time. Sometimes however, this data is not available, and parts must be re-created from their physical samples. This is where the first engineering process of reverse engineering comes into play. Our engineers measure the dimensions from physical parts using electronic Vernier Calipers, dial gauges, 3D scanners and other geometrical tools, and create a 3D CAD model of the sample. 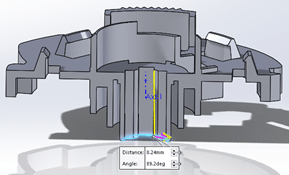 Then, the critical dimensions are identified and tolerances are assigned to them depending on their magnitude and functionality. Identification of such dimensions is done by extrapolating the data that is available from other parts belonging to the same part family. During reverse engineering, engineers establish any design changes that a part requires for the ease of 3D printing, but that do not affect the overall function of the part. For instance, unsupported overhangs, or in other words surfaces that are not supported from underneath, are minimized by creating slopes from nearby part walls. The first practice is to clean the printer’s nozzles, axes and extruders of any residual plastic. The second test is to ensure the X, Y, and Z axes of the printer and each of its two nozzles are aligned. The final practice is to service the entire printer on a monthly basis. This ensures the print quality remains high and consistent across different machines. The selection of materials depends largely on the required mechanical strength of the part, the maximum dimensional tolerances allowable and the need for post-processing, or enhancement of surface finish. Defining the set of optimum printing parameters is generally a reiterative process, whereby parameters such as geometry of the fiber, layer height, temperature and extruder speed are aligned to achieve the best part quality. 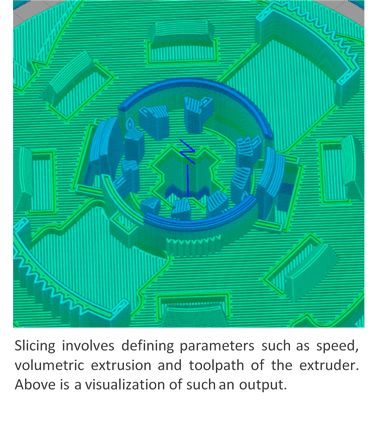 Computing these factors collectively is called “slicing”, whereby computer software is used to calculate and define the set of qualified instructions in a file that is sent to the 3D printer. 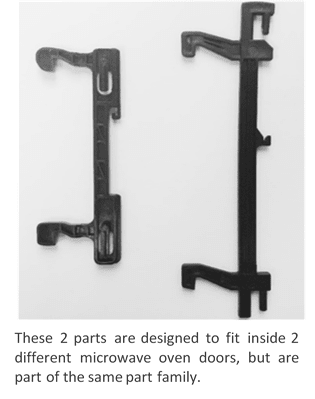 Together, these parameters ensure that unique geometries and mating features such as keyways are printed successfully, retaining the criteria established at the reverse engineering stage. Their integration and optimization of the time taken to print each part results in cost effectiveness. Once a final 3D printed part is obtained, it’s dimensional accuracy and mechanical/structural criteria are verified by an independent quality officer, before the set of printing instructions or ‘G-code’ is finalized. 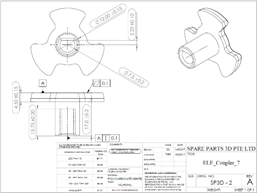 Measurements of all such final parts are recorded on a standard quality template, that is added to the digital inventory of the part. If the first run fails any of the tests, the process of industrialization is repeated until all criteria have been fulfilled. 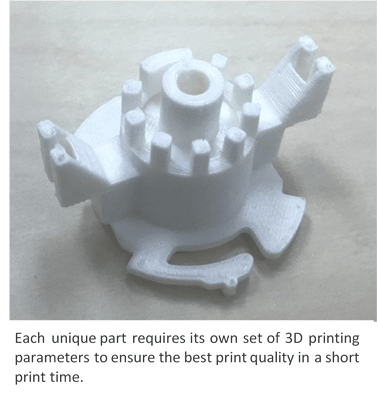 The spare parts are usually printed at a 3D printing service provider who is part of our distributed manufacturing network, and who is geographically closest to where the parts are required. 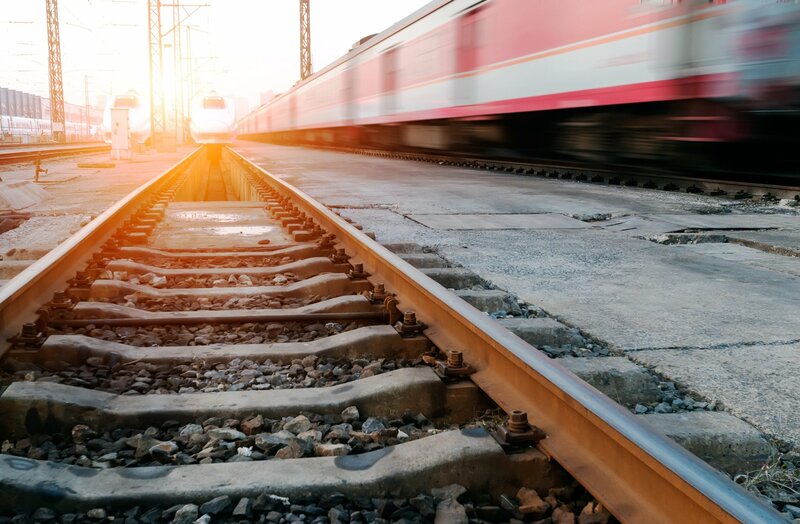 Before a service provider can join our network, they must go through a comprehensive 4-step qualification process that ensures the quality of their service meets our benchmark standards. Once hubs are part of our network, they carry out predictive maintenance of their printers on a quarterly, monthly and weekly basis, using the same tests to ensure that the state of their printers is within acceptable bounds of the printers in our engineering office. When a part is required to be produced, the final G-code is transferred securely to our service provider through an online 3D printing cloud service. Once printed, the parts are finally checked for quality through statistical process control, packaged and shipped for last-mile transportation. The processes described above, and in particular the process of Industrialisation, require a multidisciplinary team of engineers, to ensure a smooth and reliable workflow. It is worth noting that as we continue to develop and build upon our processes, and introduce automation at each step, the quality of each 3D printed part will steadily rise after each print.